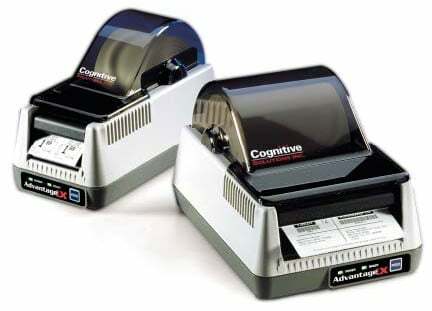 CognitiveTPG Advantage LX - Thermal transfer, 203 dpi, 2.4" print width, Serial and Ethernet interfaces, 2MB DRAM, 4MB flash. Includes US power supply and product reference guide. Order cables separately. Advantage LX printers are tough enough for industrial environments. Specified to print more than 5,000 labels per day, per printer, the rugged metal print mechanism is built to withstand the rigors of warehouses, conveyor lines, manufacturing environments and more. The CognitiveTPG LBT24-2043-014 is also known as Cognitive-TPG	COG-LBT242043014	or LBT242043014	.